Good afternoon - and happy Sunday! 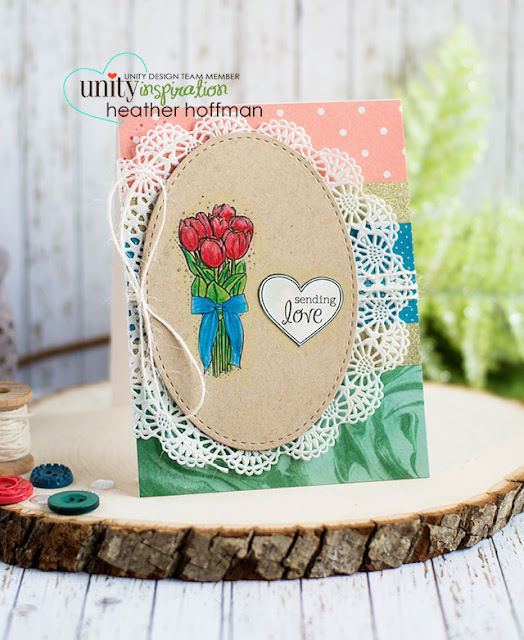 Heather dropping by to share the brand new Stamp of the Week with you - does anyone else LOVE tulips? I can't decide if they are one of my favorite flowers, or I just love them because they represent SPRING coming! Either way - they make me HAPPY - I've been known to buy myself TULIPS to put on my kitchen counter, just for the JOY they bring me! The stamp of the week is so much fun - a HAPPY surprise in your mailbox - EVERY WEEK! And only $5.79 ($7.79 International) - which even includes shipping! Each week keeps getting BETTER and BETTER! Go check it out, read all the details, and sign up HERE!